Just a few days ago I was espousing the virtues of ignoring late-stage marketing for highly anticipated franchise films. 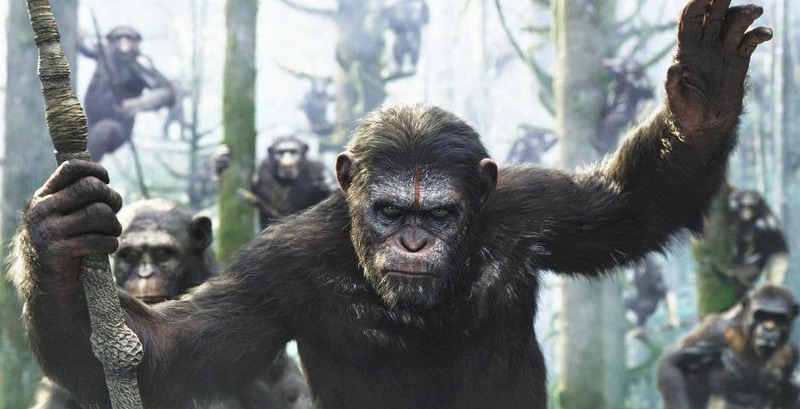 And yet, here's the third trailer and final trailer Matt Reeves' Dawn Of The Planet Of The Apes and it's just about perfect in every way. Weta's effects work to create the apes continues to astound and I absolutely love the dark turn this franchise is taking, mirroring some of the later entries in the original series of films. I've been slowly rewatching them over the last few weeks and having a blast in the process. I think the series peaks a bit with Escape From Planet Of The Apes, which is nine kinds of entertaining for most of the running time before eventually dropping the floor out from under the audience in the final few minutes. I'm hoping to squeeze in Conquest, Battle and Rise all before Dawn hits theaters. Watch this trailer. Or don't. Either way, be sure to mark your calendar for July 11. It's gonna be a highlight of the summer to be sure.